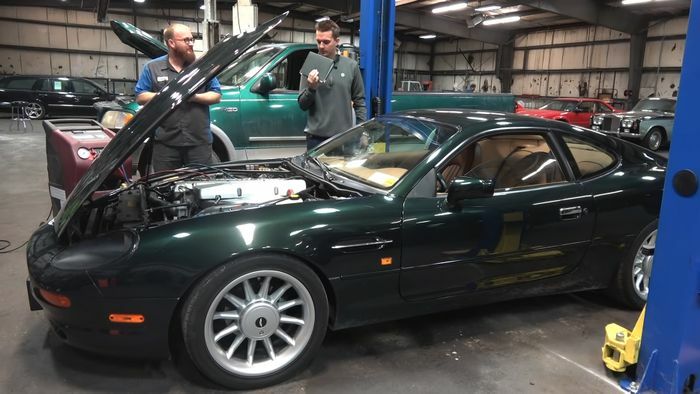 Tyler Hoover’s latest ‘bargain buy’ has gone to see the wizard; the mechanic dubbed the car wizard – who must be getting pretty rich off the back of Hoover’s creaky car collection. 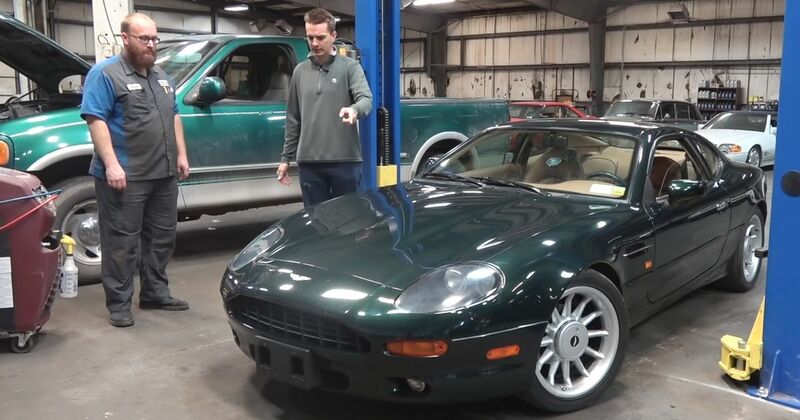 It’s the $25,000 Aston Martin DB7’s turn under the wizard’s gaze. As it arrives at the workshop the wizard is already working on a couple of Hoover’s other cars; the 1990s Dodge Viper and the ‘McLaren’ Pontiac. We already knew about some of the 36,000-mile DB7’s issues, from the broken air conditioning to the dead stereo. The latter was just down to a fuse and gets repaired on the spot by the wizard, while the air-con compressor is a write-off and needs replacing. There are a few fluid leaks, some worse than others, and we don’t yet know how expensive parts are going to be. Then there’s that wobbly, bouncy, wayward gear lever that suggests seriously wonky goings-on in the linkage. We’ll have to wait and see what the bill comes to. Recommended car throttle shop Worldwide Shipping In The CT Shop Car Throttle Submit Your Videos To Get Featured On Our Social Channels DIY Here's Why Putting Winters Tyres On Only One Axle Is Stupidly Dangerous DIY What Actually Is Rack And Pinion Steering? DIY Can You Run A Car With The Propshaft Connected Directly To The Engine? DIY Here's What Happens When You Replace A Tyre With 3000 Nails DIY That 'Half Price' Totalled Audi R8 Has Been Repaired For $500 DIY Here's What Happens When You Spray A Car With A 40,000PSI Jet Washer DIY Move Aside, AMG: Here's A Homemade 6x6 Lada Niva DIY Can You Start A Lada That's Spent Six Months At The Bottom Of A Lake?